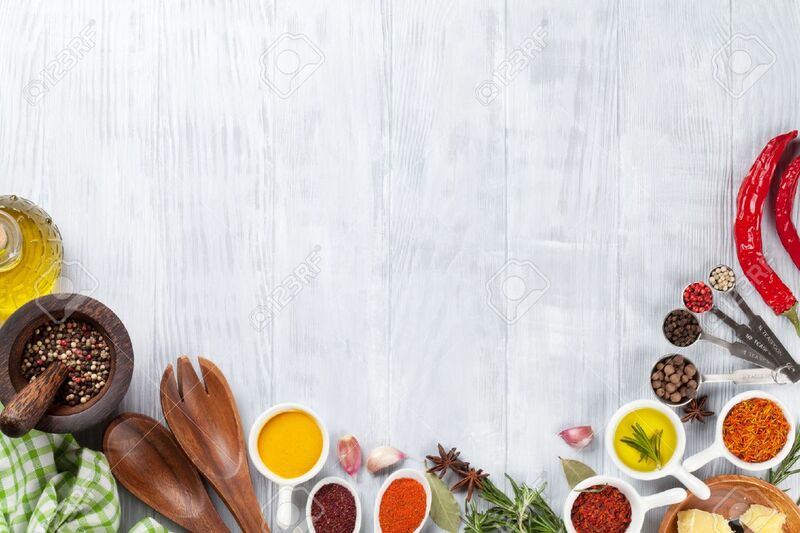 Herbs And Spices Over Wood Background. Top View With Copy Space 免版權照片，圖片，畫像及圖片庫. Image 51528535.